Calling all brave seasoned adventurers of Lagendia! 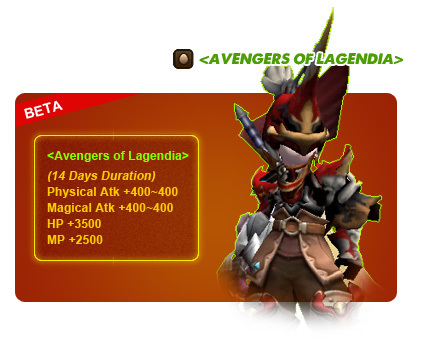 DragonNest have created a new special title just for you: Avengers Of Lagendia! And remember, if we can’t protect Lagendia… you can be darn sure we’ll avenge it! - This event starts on 14 July 2012, 0900HRS and ends at 20 July 2012, 2359HRS (GMT+8). 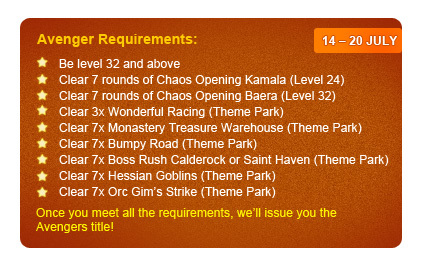 - Eligible players will get the title the day after they have met all requirements. - This title is temporary and lasts for 14 days. 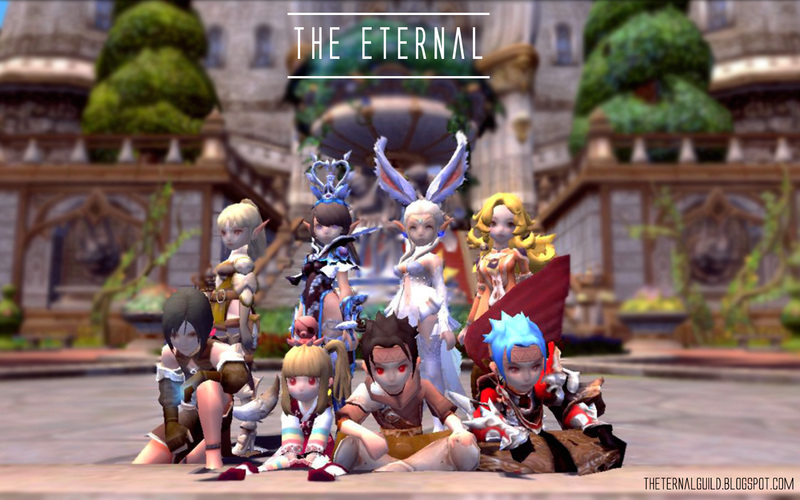 - The title will be issued out through the Cash Shop’s Gift Box system.